Absorbs excess oiliness and other impurities from the hair with rice starch. Gives fresh volume, lift and soft texture. Refreshes hair between shampoo washes and gives a good base for creating hairstyles. 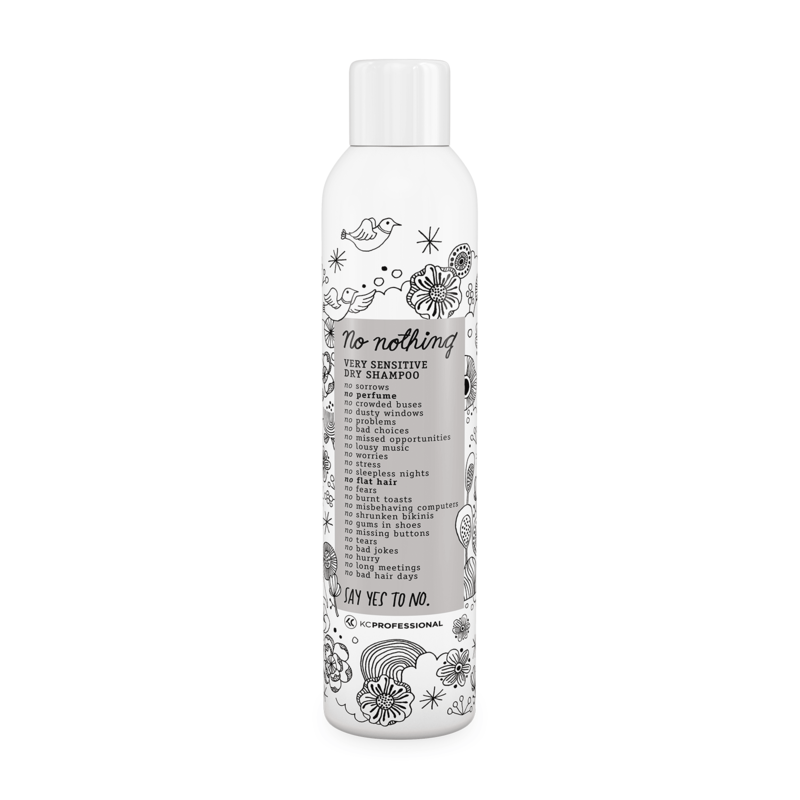 A very fine mist with a colorless formula suits all hair types and colors. No Perfume. Shake well, spray especially to the root area from approx. 15 cm distance and brush through. - Removes excess oiliness and other impurities from hair with rice starch. - Gives volume and soft texture. Butane, Isobutane, Alcohol Denat., Propane, Oryza Sativa (Rice) Starch, Hydrated Silica, PPG-3 Benzyl Ether Myristate, Cetrimonium Chloride.